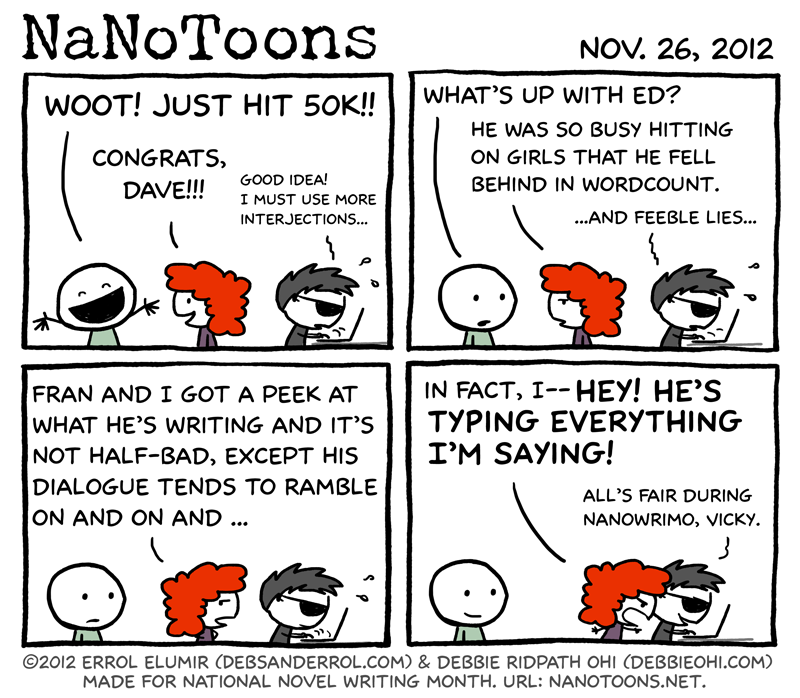 Debbie: Heh…and if you’ve fallen waaaay behind in NaNoWrimo, don’t give up on your novel!! There’s always the 250, 500 and 1000 words/day challenge. 🙂 Good luck with your writing, everyone!